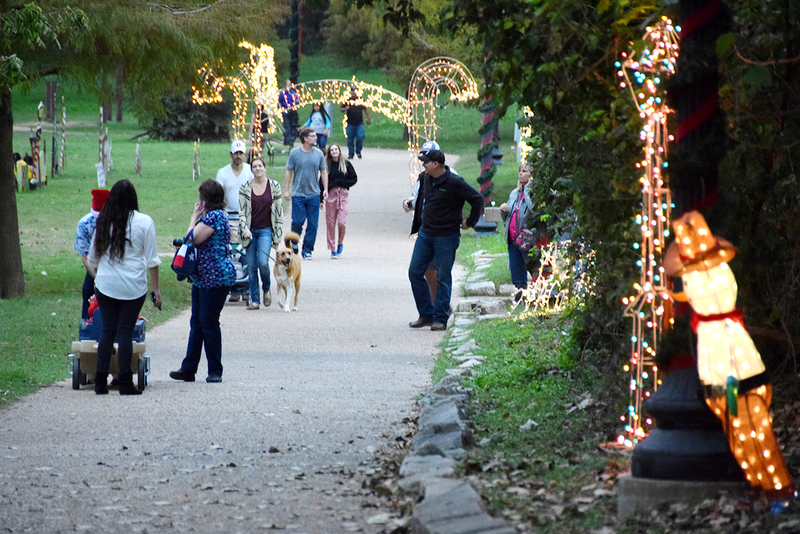 Bastrop River of Lights walking trail, not to be missed, is filled with a variety of lighted displays for a fun, exploratory walking experience. The trail runs from Fisherman’s Park all the way along the Colorado River to Ferry Park, about a half mile. The River of Lights opens the day after Thanksgiving and continues every night until New Years Eve from 6–9 p.m. Families especially enjoy the easy walk along the scenic Colorado River.